Planning Your Wedding Just Got More Fun! Are you ready to have Fun and be spoiled at the same time!! Introducing Wedding Flights at Cavanaughs' BrideShow. 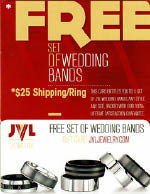 Enjoy lots of food and drink as you shop for you wedding. For a more laid back, stretch your legs out, feed yourself, and enjoy the day bridal show. The goal is to allow you to do your research while having a unique fun shopping experience. Click Here to see all of our Wedding Flights and Action Stations. 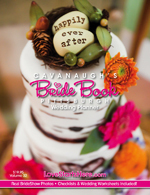 See the Top Bridal Salons only at Cavanaugh's BrideShow! From Boutique to Bargain, Unique to Fun - We have it all! See the entire list of Wedding Professionals, including those exhibiting only at Cavanaugh's Brideshows or Register to attend. For over 70% of our wedding professionals - this too is the only show that they will be showcasing their wares, so don't wait - this is your one chance to meet with some of the Best Wedding Professionals in the area. Smell the flowers, touch the gowns, taste the cake, see the photos, hear the music, and much more - it's a bridal show experience you won't find anywhere else!